Japanese Prime Minister Shinzo Abe is visiting China from October 25 to 27. The year 2018 marks the 40th anniversary of the ratification of the Japan-China Peace and Friendship Treaty and the 40th anniversary of the beginning of China’s reform and opening-up. Since Premier Li Keqiang’s visit to Japan in May this year, the discussion on “third-party market cooperation” between China and Japan has been heating up in the economic circles of both countries. At this important juncture, People’s China reporter Mu Yue conducted an interview with University of Tokyo economist Ito Yasho, exchanging views on Sino-Japanese economic cooperation and Sino-Japanese relations. 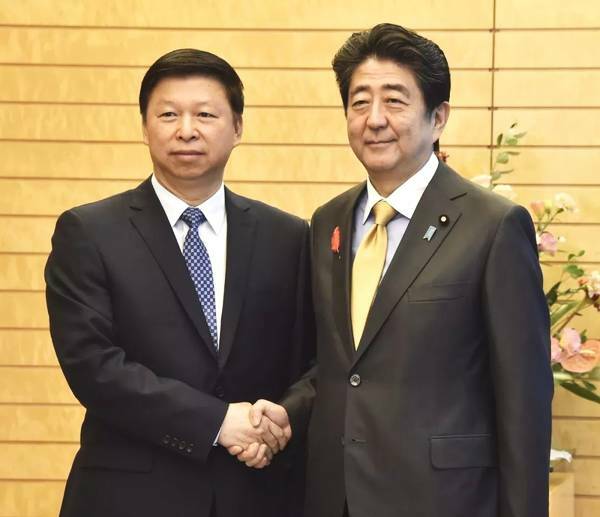 Δ On October 11, Shinzo Abe met with the Minister of the International Department, Central Committee of the CPC, Song Tao, at the Prime Minister’s official residence, and stressed the promotion of meaningful cooperation between Japan and China in all fields. The Belt and Road Initiative (BRI) is currently receiving wide attention from the international community, encompassing various content. First of all, strengthening economic links represents the core of BRI. In addition, BRI has included policy, culture and personnel exchange programs among countries such as policy-oriented opinion communication, exchange of international students and other types of exchange. From this perspective, BRI represents an economic circle concept with great diversity and tolerance. 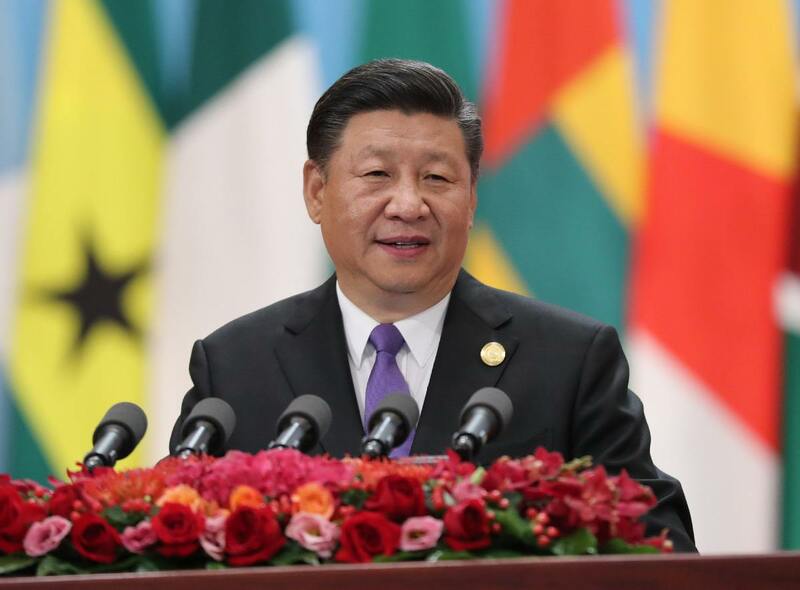 However, since the beginning of 2018, based on individual cases, the international community has begun to worry that BRI is a “debt trap” set by China and a tool for China to promote “neo-colonialism” and “new imperialism”. According to a recent questionnaire survey conducted by Nihon Keizai Shimbun, some Japanese professionals working in related fields think that BRI is a sort of military concept instead of an economic one. First of all, BRI aims to strengthen the economic relations that exist between China and emerging countries as well as developing countries. For example, under the BRI framework, China and Africa are strengthening medium- and long-term economic relations. This process should only be assessed from a long-term perspective so that its meaning can be manifested. It is impossible that it will bloom in a 3-5 year period. 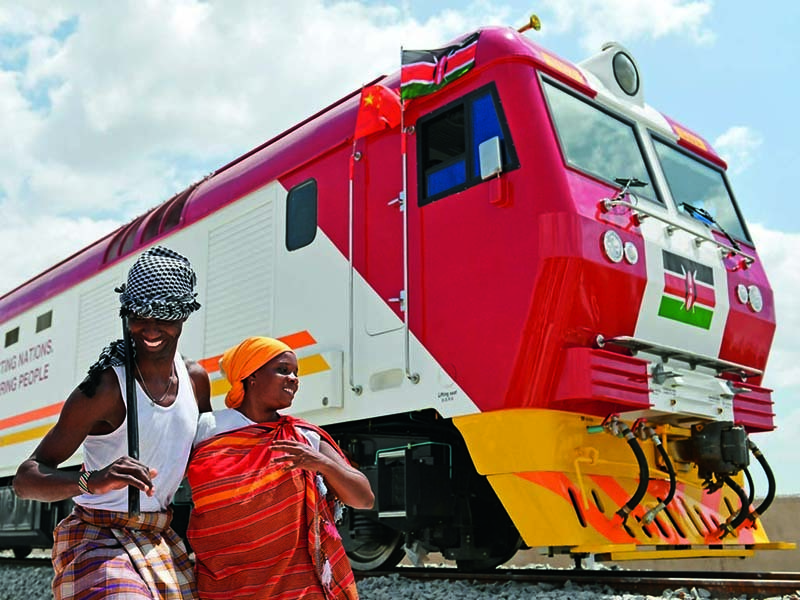 Δ The Mombasa-Nairobi railway, which opened on June 1 last year, is the largest infrastructure project built in Kenya with Chinese assistance since Kenya gained independence. Secondly, in both China and emerging countries, when carrying out major projects, bearing risks such as the possible inability to repay debts is inevitable. The Chinese government and Chinese enterprises have entered overseas markets and are currently at the stage of learning about financing lending and accumulating project construction experience, which is a process that requires a fairly long period of time. The evaluation of BRI should be based on the achievements of the projects that China implements in various emerging countries in the 10 years following implementation, especially in terms of how local people evaluate development brought by China. In the past, after Japan entered a period of rapid economic growth, many investment projects were carried out in Southeast Asian countries through ODA (Government Development Assistance). At that time, Japan’s ODA was not only criticized by the international community, but was also opposed by local people. However, the criticism that Japan faced has gradually disappeared thanks to Japan’s unremitting efforts. Thus, I believe that after a long period of time, voices critical of China in regards to the construction of BRI will fade away as long as projects that are conducive to regional economic development are carried out. Since the second half of last year, the Japanese government’s policy has begun to shift toward support and participation in Belt and Road construction. The implementation of Japanese-Chinese third country cooperation projects has become a hot topic in Japan-China economic relations. In fact, even before the BRI was first launched, Japanese and Chinese enterprises achieved project cooperation in third countries, among which the Kazakhstan thermal power station project is notable. The key to a thermal power station is the gas turbine that is used. At the time, Kazakhstan’s government judged that gas turbines produced and manufactured by Hitachi were more suitable. However, the Kazakh government also believes that, as a whole, Japanese companies and Chinese companies can implement projects together to reduce costs. Therefore, Japanese and Chinese companies realized “de facto Japanese-Chinese cooperation” in Kazakhstan. There are other similar examples that are too numerous to mention. It is entirely possible that Japanese and Chinese companies will jointly carry out project cooperation in third-party markets. Δ As of May 2, 2018, the AIIB has 86 official members. Last July, I wrote an article in the Nihon Keizai Shimbun suggesting to Japan that it participate in the Belt and Road Initiative by joining the Asian Infrastructure Investment Bank (AIIB). I believe that joining AIIB is the most institutionalized method for participation in BRI as well as participating in the overall economic development of Asia. BRI has attracted various companies, organizations and institutions to participate through projects with abundant content. 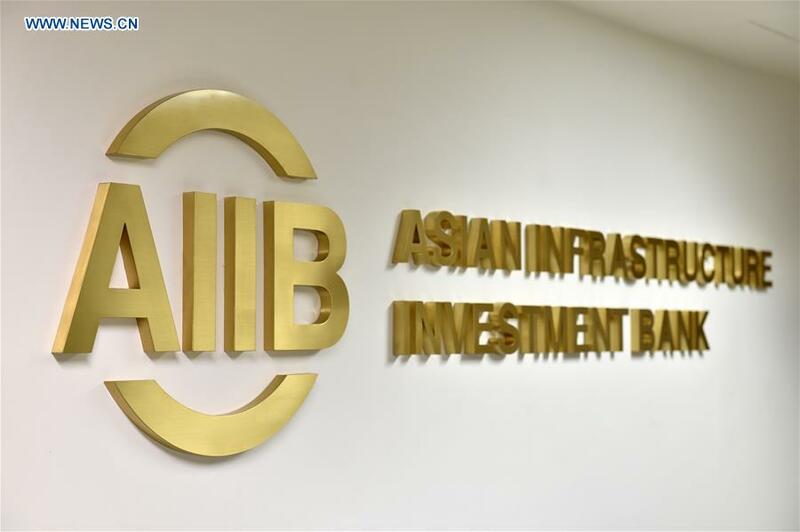 Among the institutions associated with BRI, the AIIB embraces the greatest international perspective, and at the same time also clarifies the direction of development as an international institution with the status of an institutionalized organization. BRI encompasses a variety of projects, but some projects have also been stopped because of governmental changes in respective host countries. Some projects enjoy greater market value, and some may have no market value at all. Projects relying on specific politicians and regimes to be carried out lack stability in the long term. From this perspective, although the framework of “third party market cooperation” has potential, each project requires communication and agreements between two companies. In fact, from an economic perspective, there are many “transaction costs”, and it is necessary to study methods to control such costs. The year 2018 marks the 40th anniversary of the ratification of the Japan-China Peace and Friendship Treaty and the 40th anniversary of China’s reform and opening-up. Prime Minister Shinzo Abe’s visit to China in late October is of great significance. In the past 40 years, Japan and China have enjoyed an essentially peaceful relationship, and economic and cultural exchanges have made considerable progress. In accordance with the basic policy of reform and opening-up, the Chinese economy has continued to open up and achieved rapid growth. I expect that when Prime Minister Abe visits China, the heads of the two countries can jointly confirm the achievements of the past 40 years. The current Japan-China relationship is in the midst of a period of improved momentum, but historical issues, island-related conflicts and other related problems remain unresolved. According to Japanese media reports, the Japanese and Chinese governments are exploring a fifth political document that defines new relations between the two countries. How to position Japan-China relations for the next “40 years”, how to seek consensus between the two countries under a more institutionalized framework, how to find compromise between the two outstanding issues and how to jointly work on contributions to an open global economic system should be reflected in the fifth political document. This depends on the wisdom and efforts of the heads of government of the two countries. Ito Yasho, associate professor, Institute of Social Science, University of Tokyo.